Turn memories into treasures with these Rainfall frames. The halo of brilliant crystal borders your cherished portrait photos. Suitable for any portrait 5x7 picture. This elegant frame fits perfectly on a desk, shelf or counter and adds a little sparkle to your favourite photos. Dimensions: Height: 7.5cm/7in. Width: 12.5cm/5in. Care: Gentle hand wash in warm soapy water. Dry with soft lint free cloth. 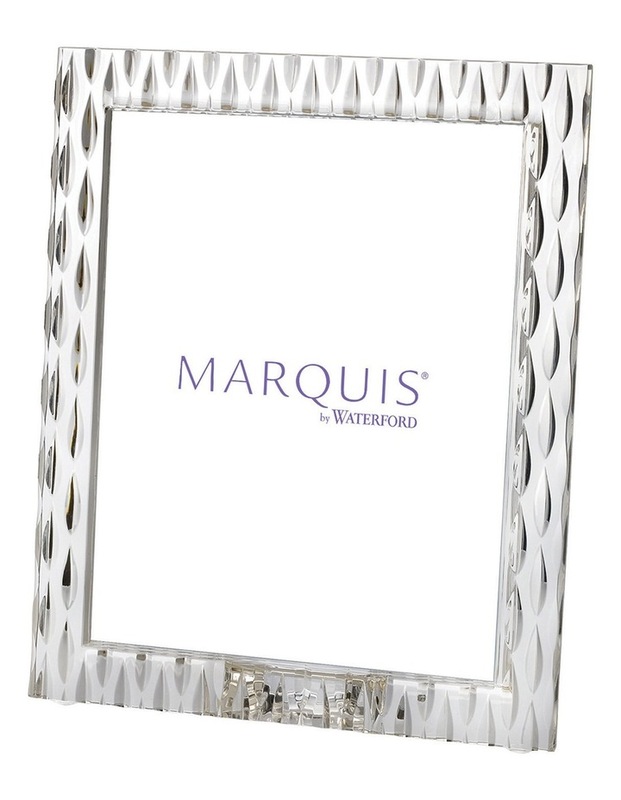 Packaging: Marquis by Waterford box. Assurance: 2 year breakage replacement.